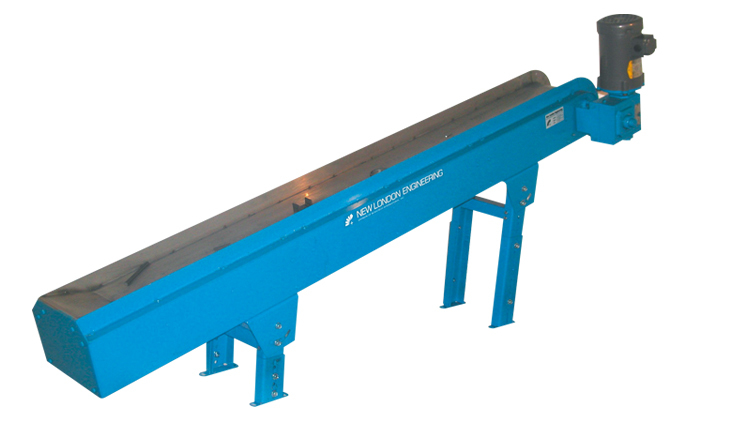 Magnetic conveyors are used to convey very fine metal or parts with sharp edges that may get caught in the belting of a hinged steel belt. Widths: 6", 8", 10", 12", 14", 16" and 18"
Deck: 12 Gauge Stainless Steel Precision Roller Hi-Radius Deck. Our unique long radius self-cleaning discharge head insures dependable product discharge.